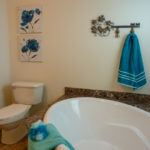 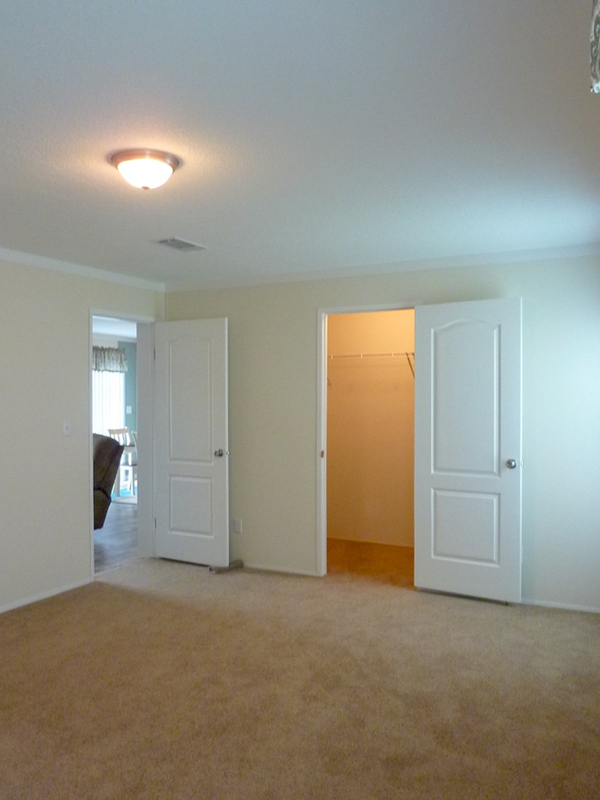 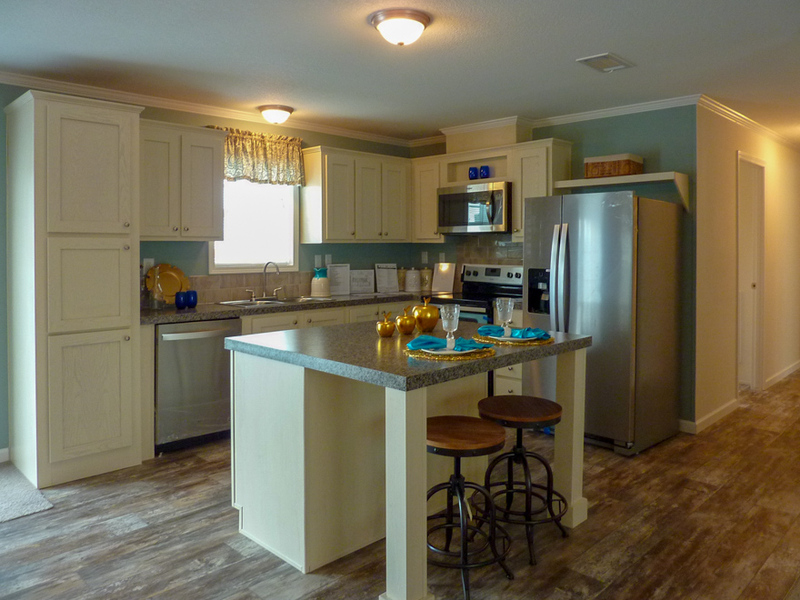 The Apopka model has 4 Beds and 2 Baths. 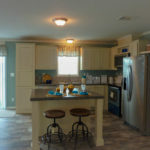 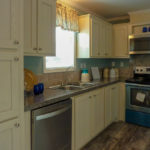 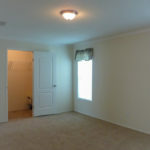 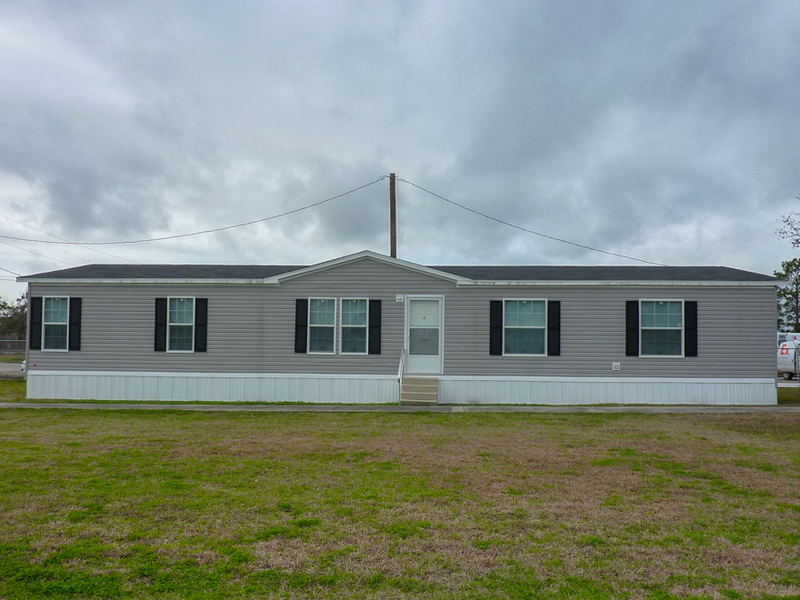 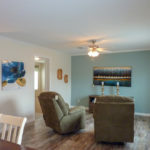 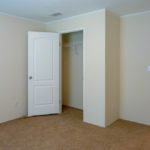 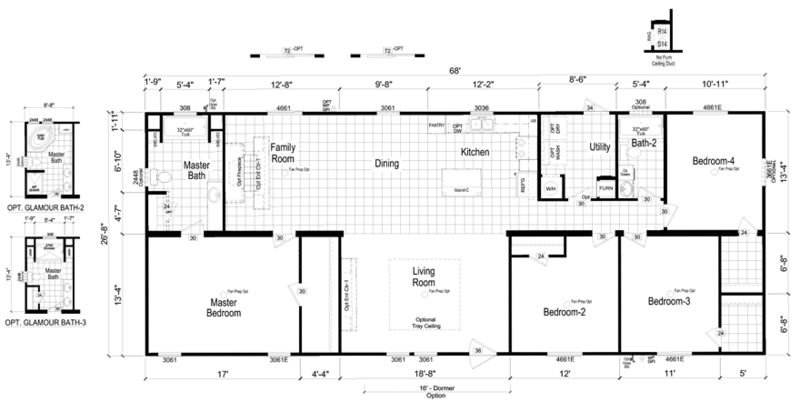 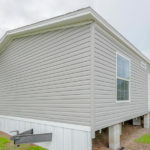 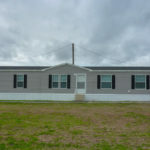 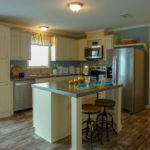 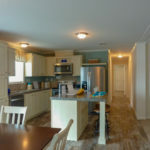 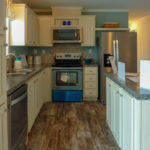 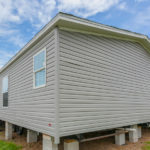 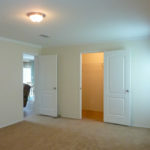 This 1813 square foot Double Wide home is available for delivery in Florida, Alabama, Georgia. 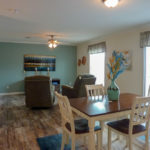 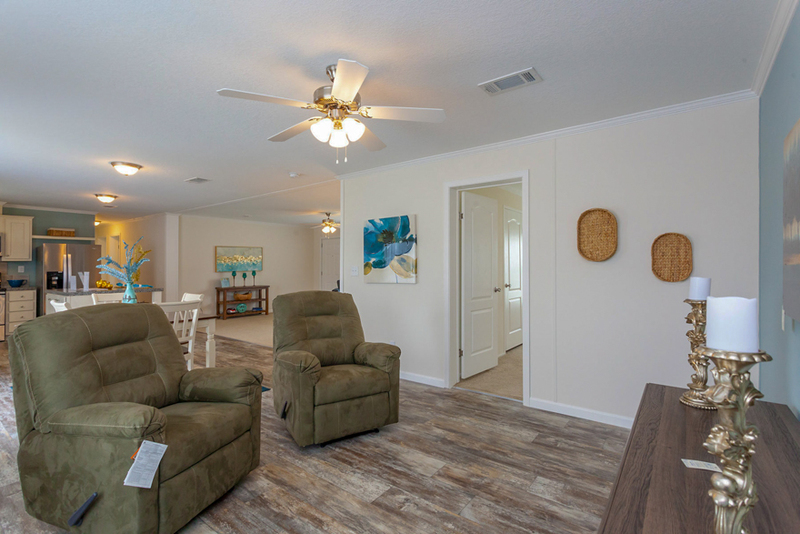 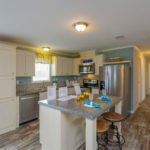 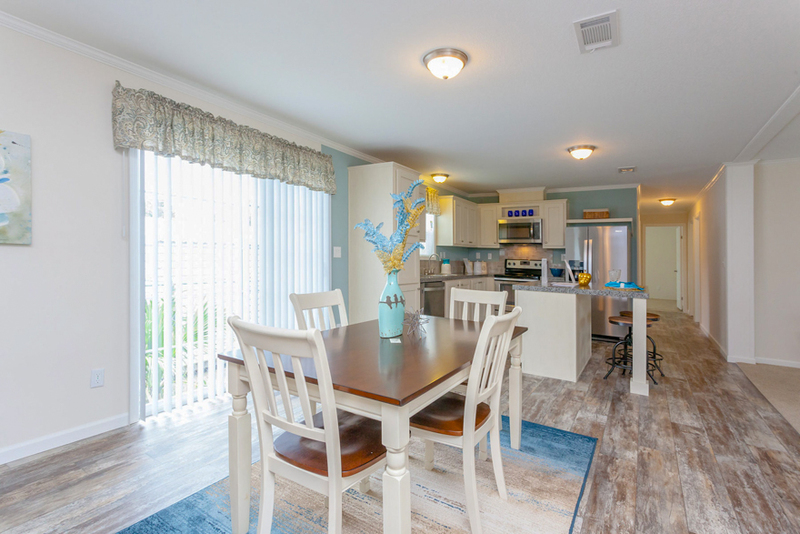 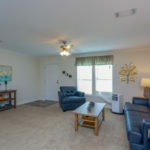 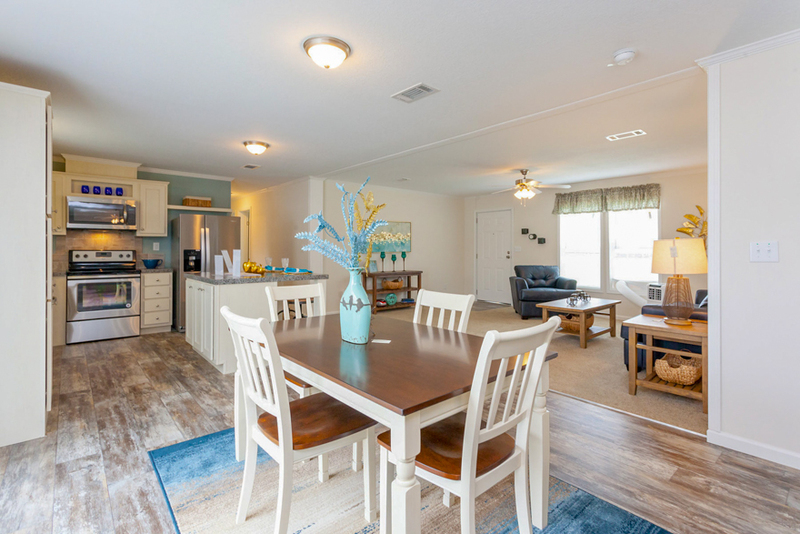 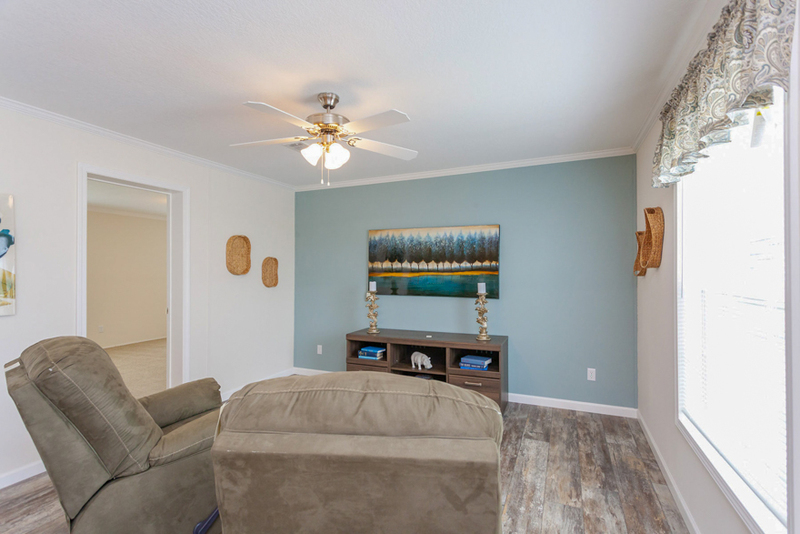 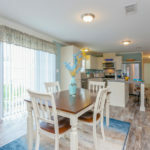 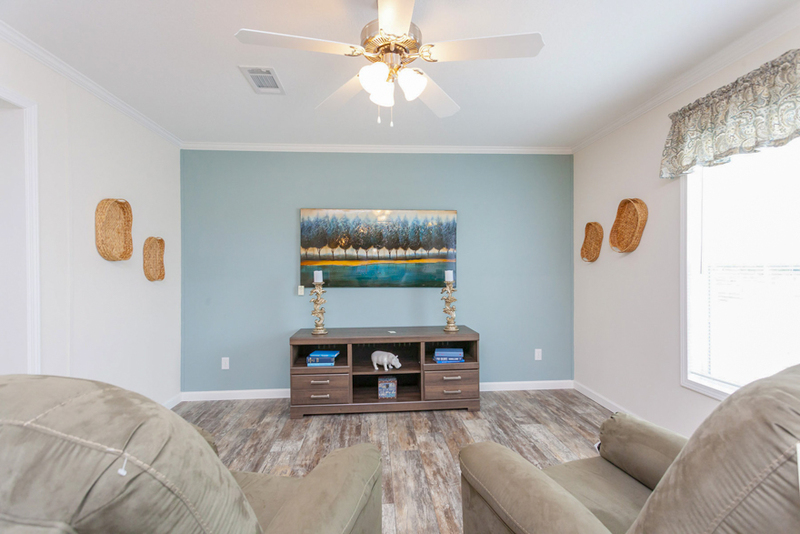 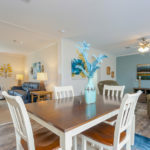 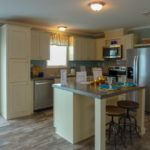 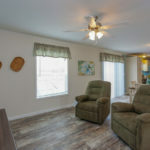 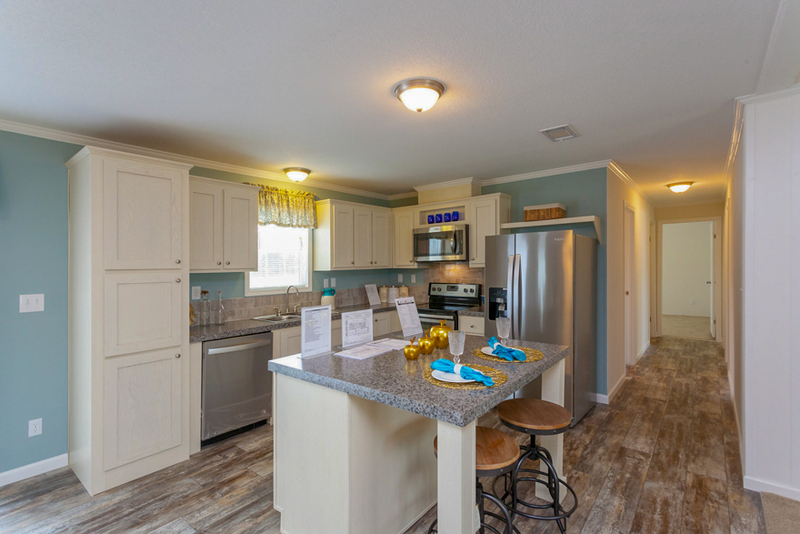 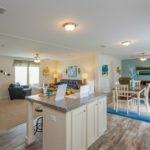 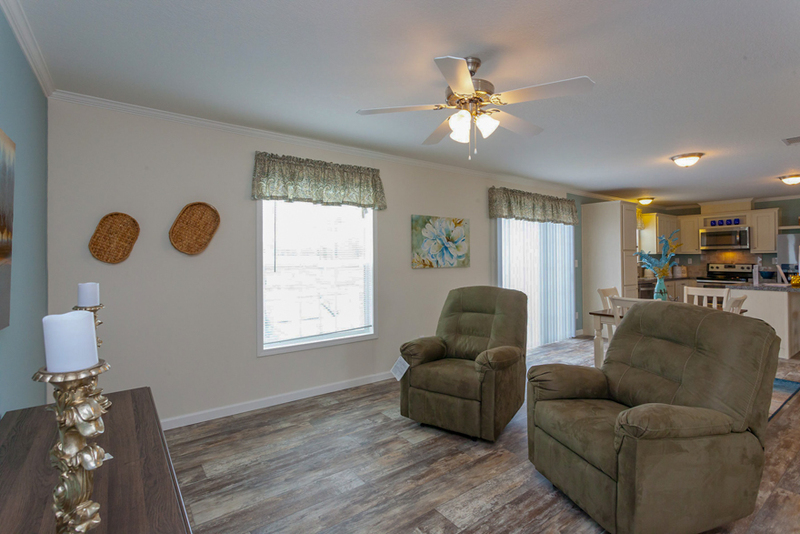 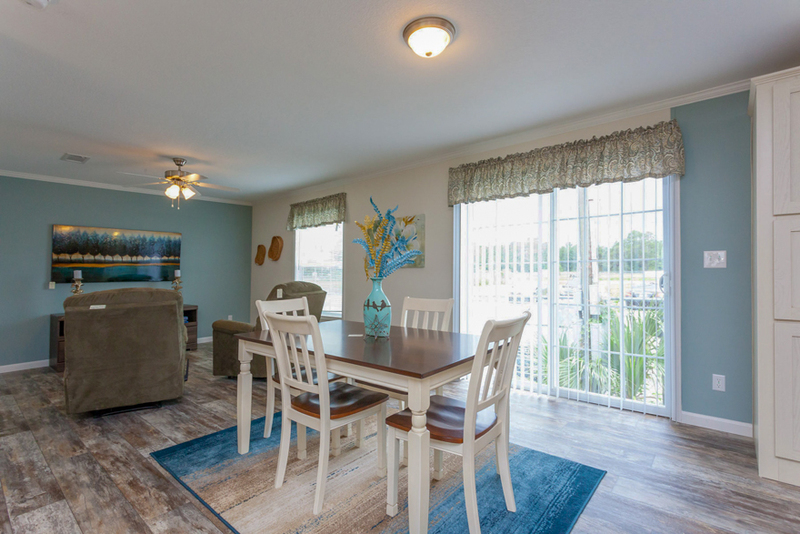 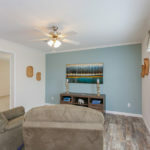 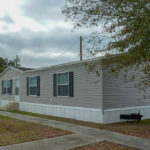 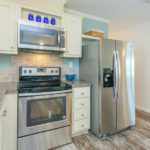 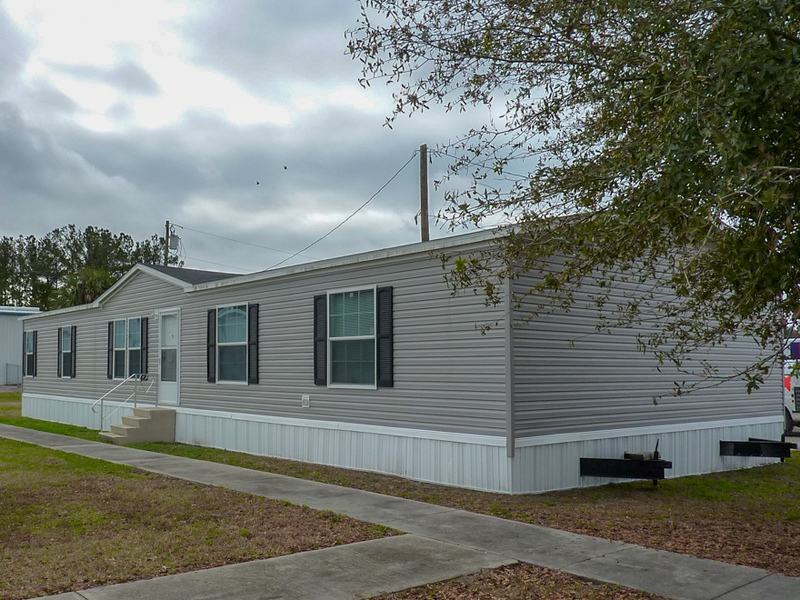 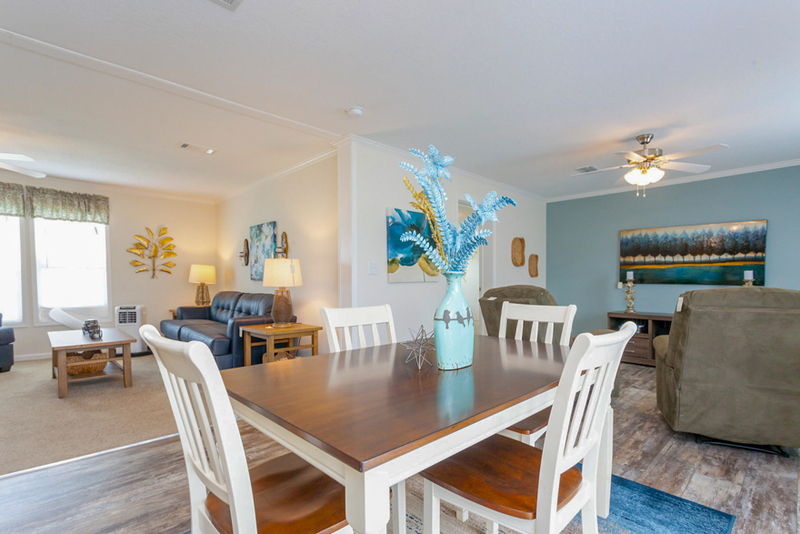 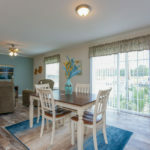 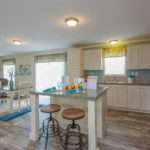 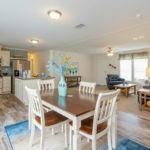 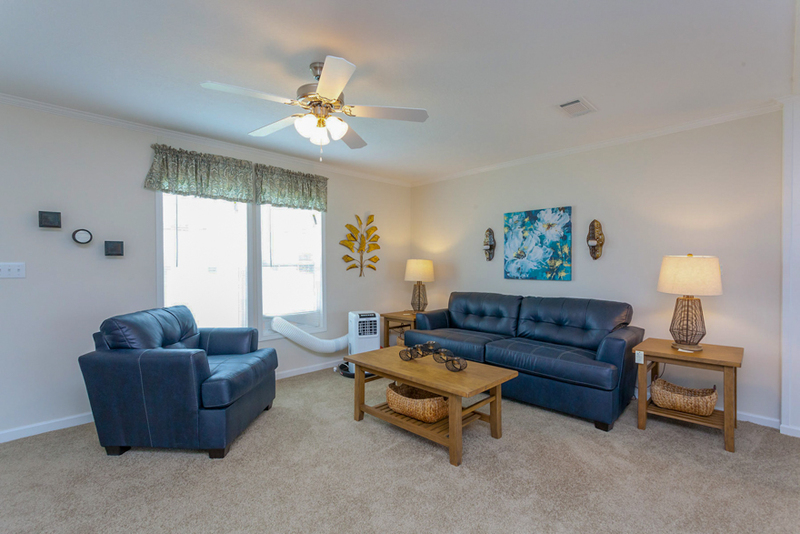 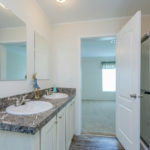 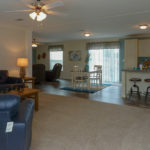 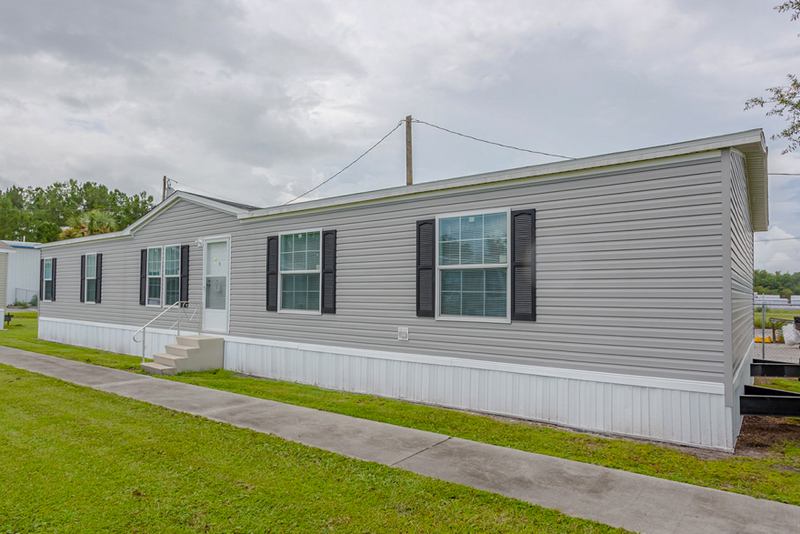 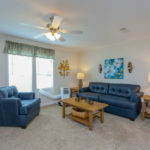 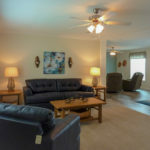 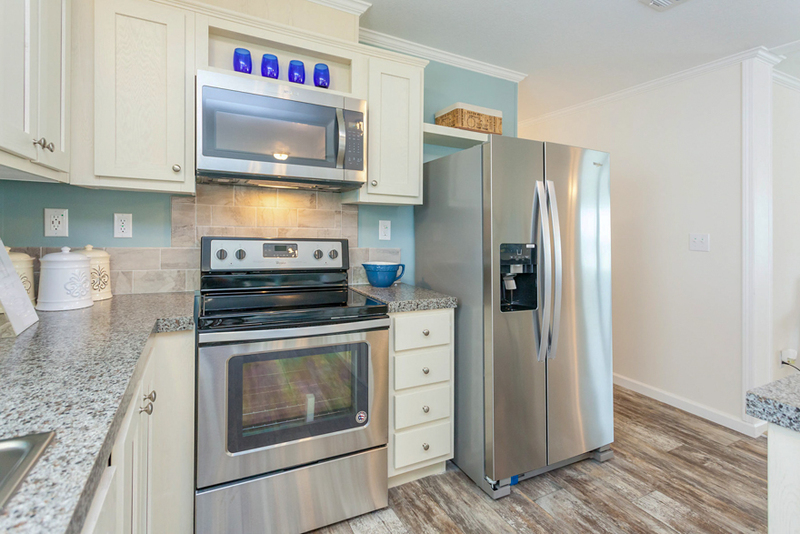 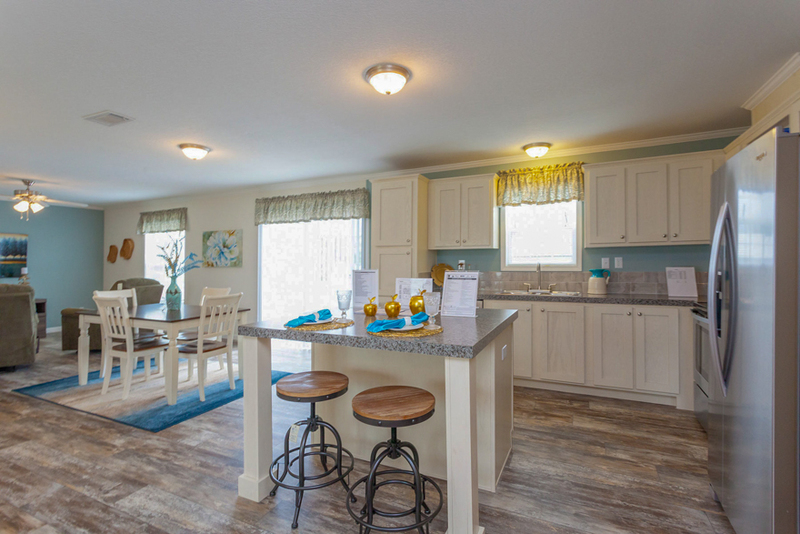 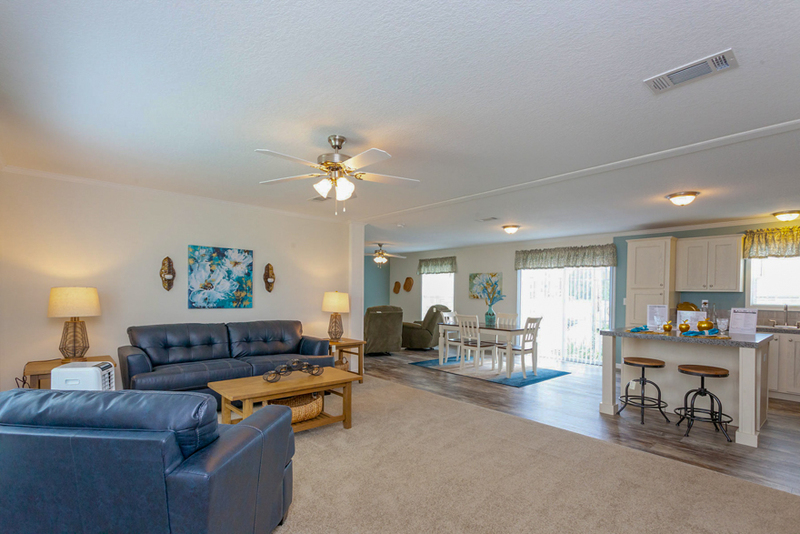 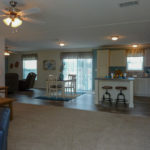 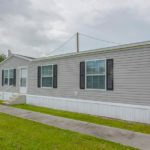 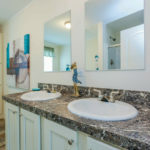 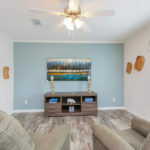 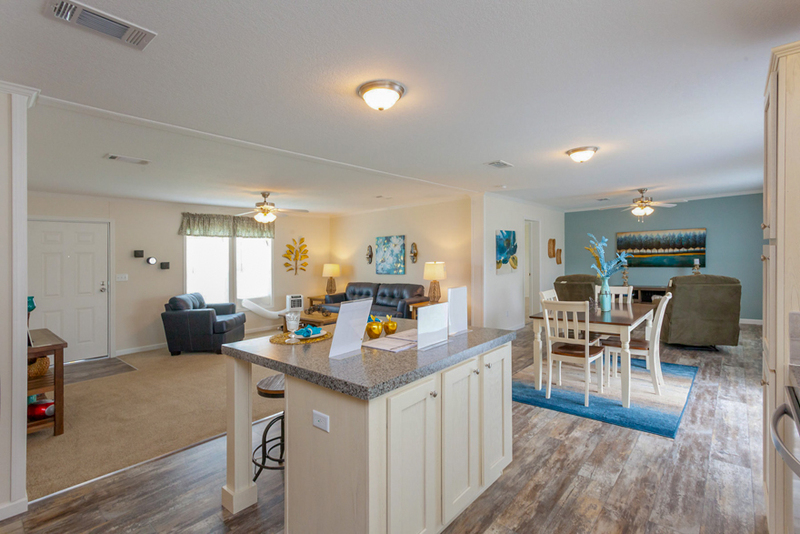 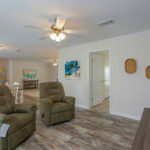 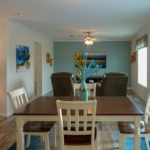 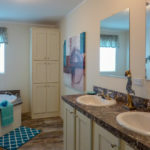 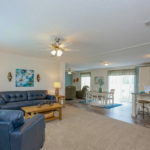 Considered something of a titan compared to the average manufactured home, the Apopka’s considerable size, four bedroom designation and handsome layout make it a highly sought after model. 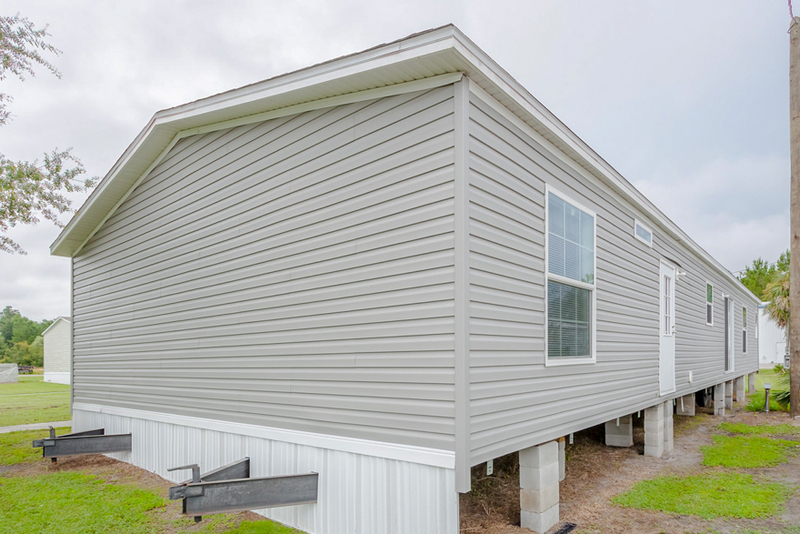 Ideally suited for large properties, this stylish multi-section home has all the residential trappings of a site built home. 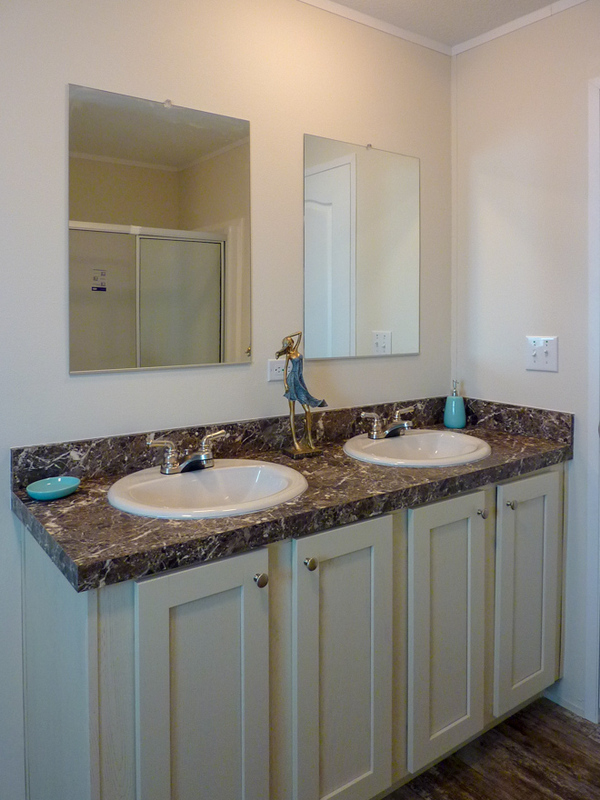 The elaborate master bath with linen closet and twin linen shelves gives the home an air of practical elegance. 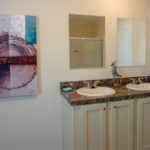 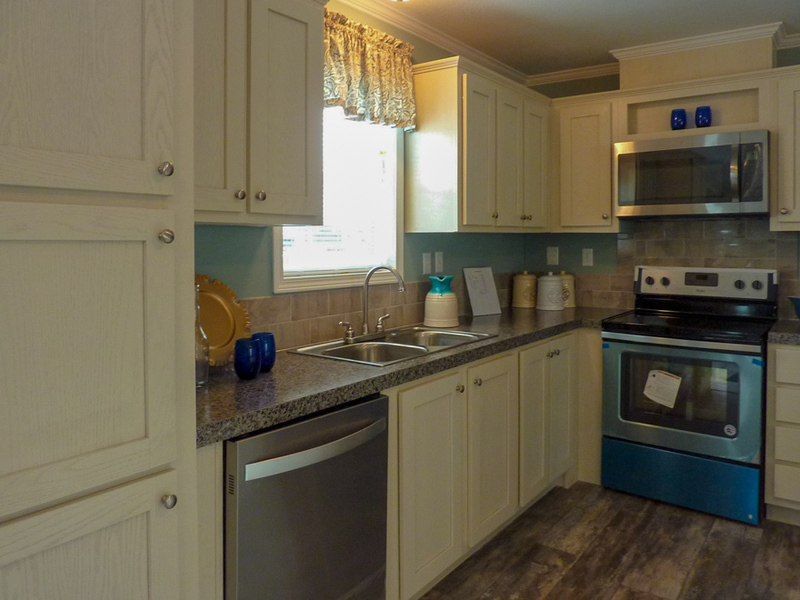 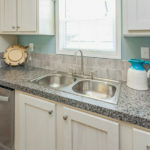 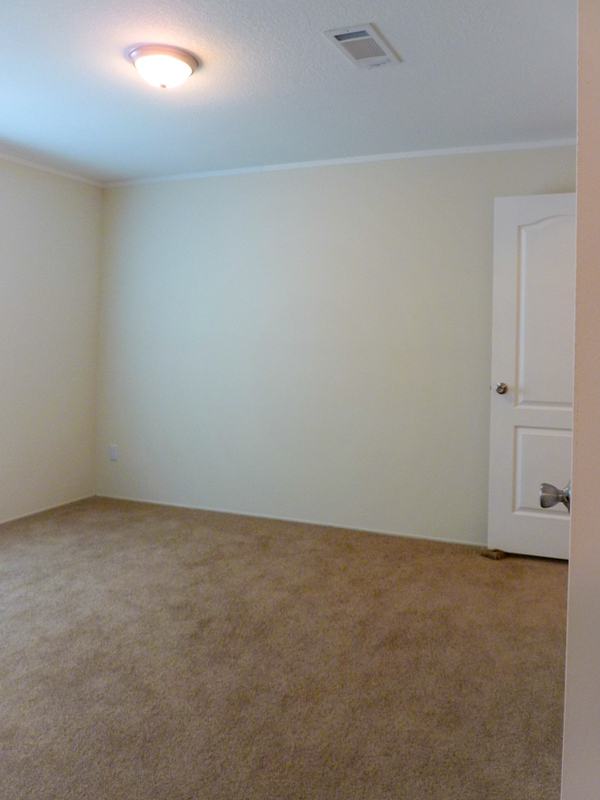 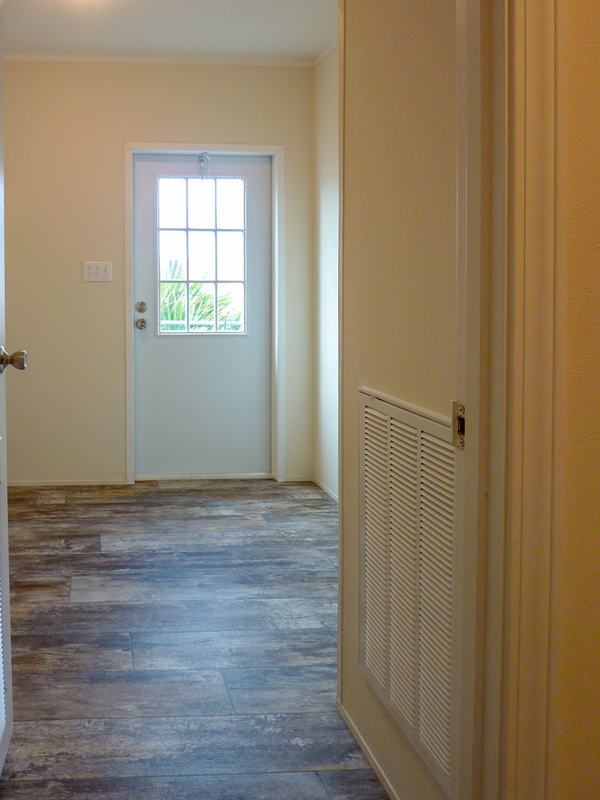 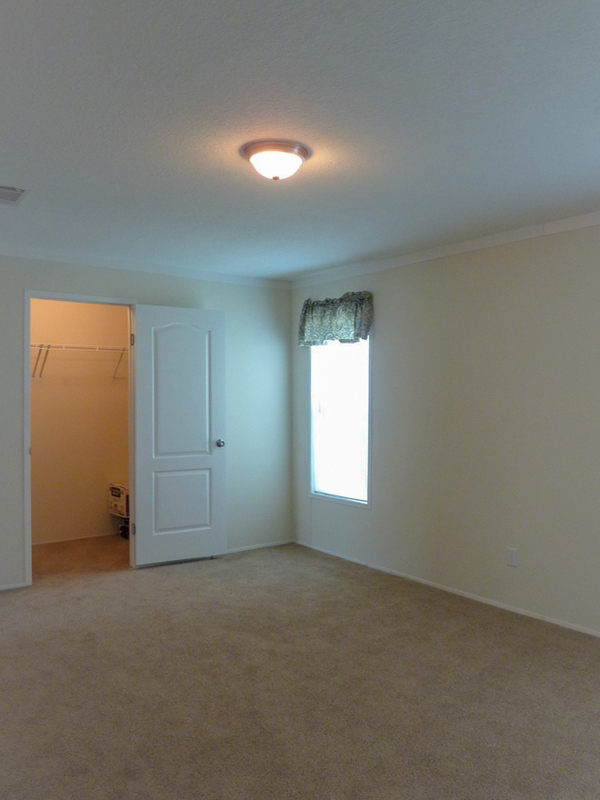 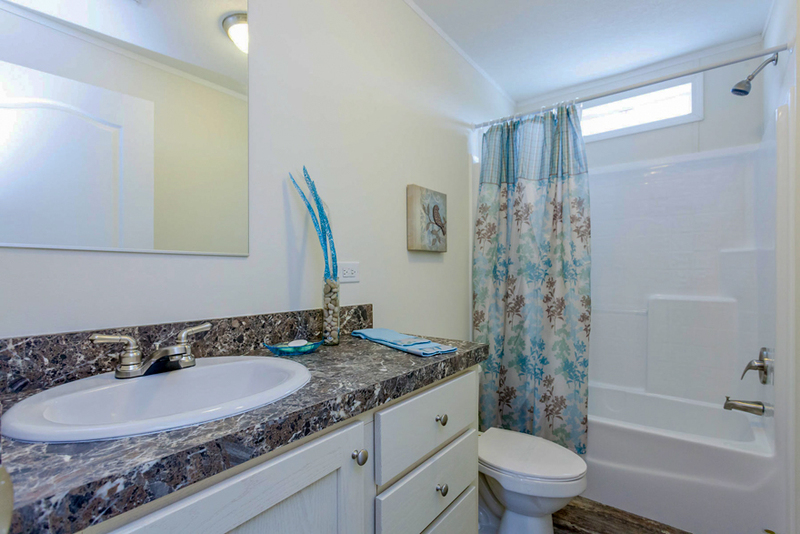 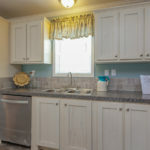 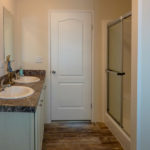 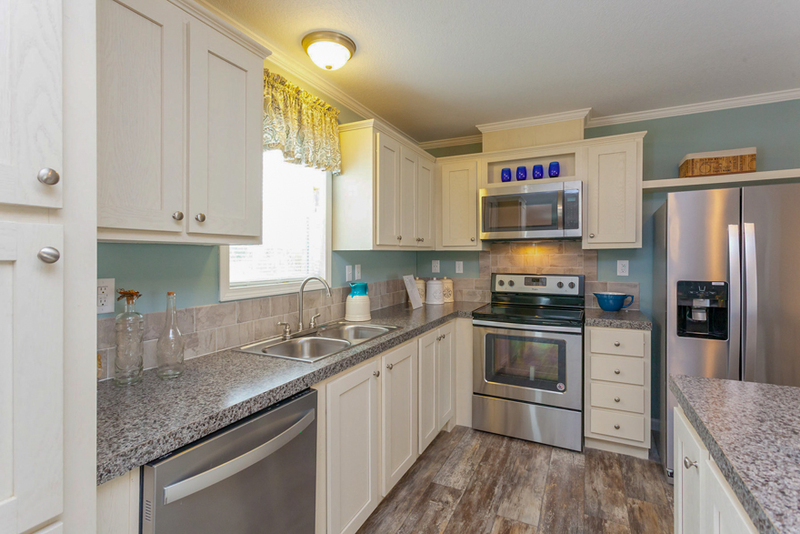 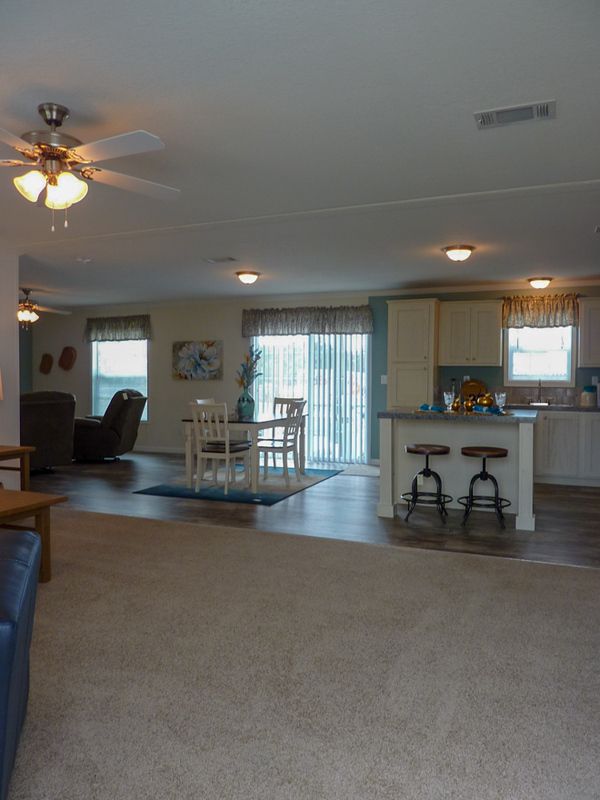 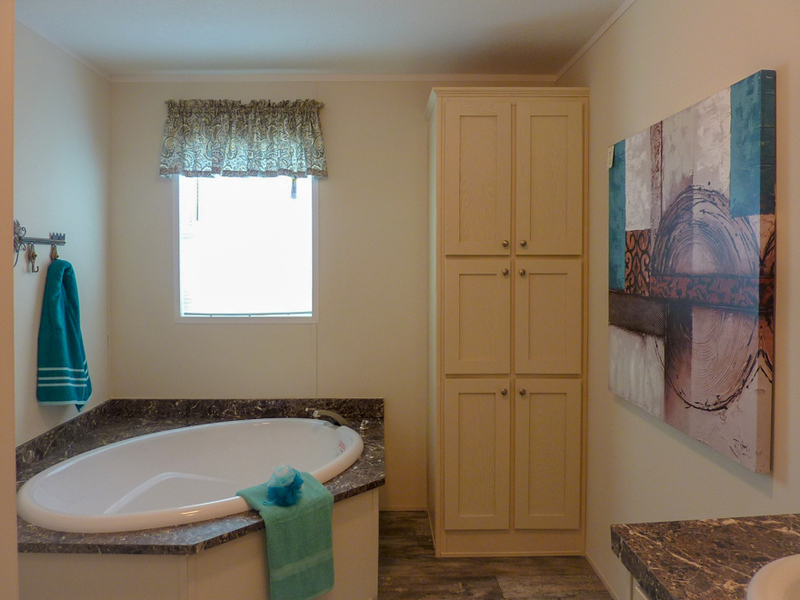 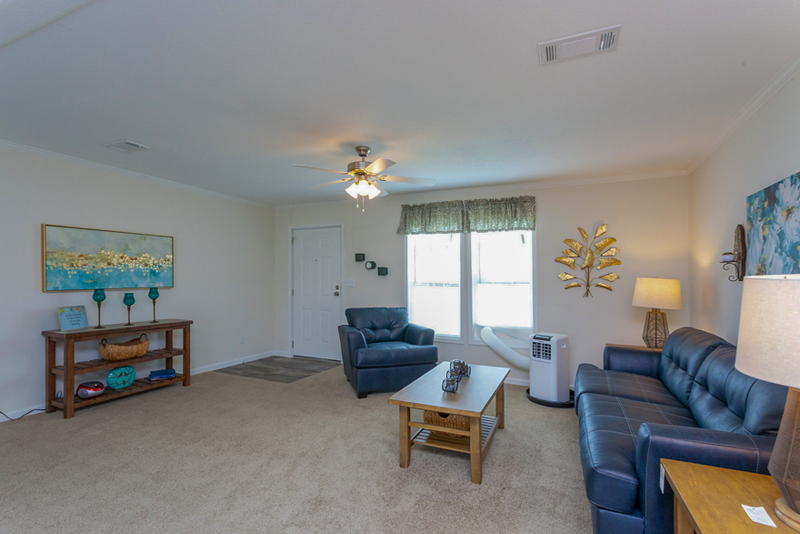 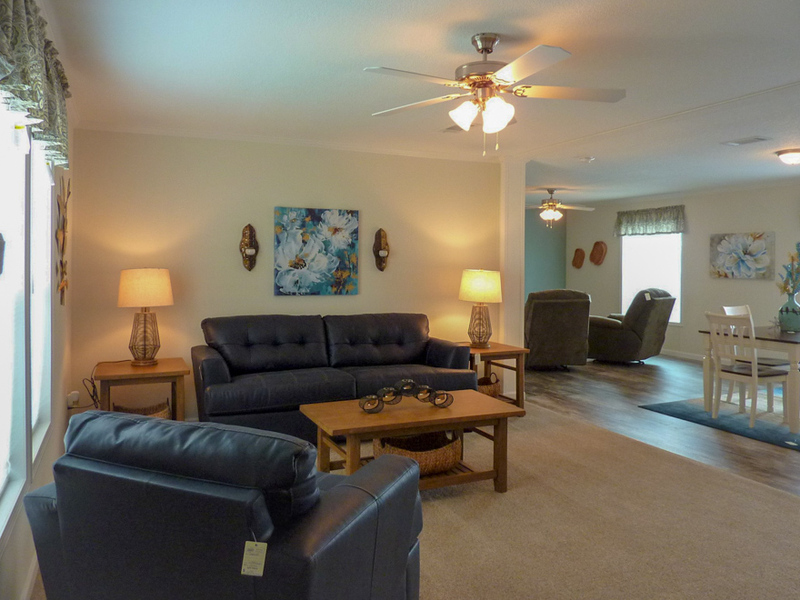 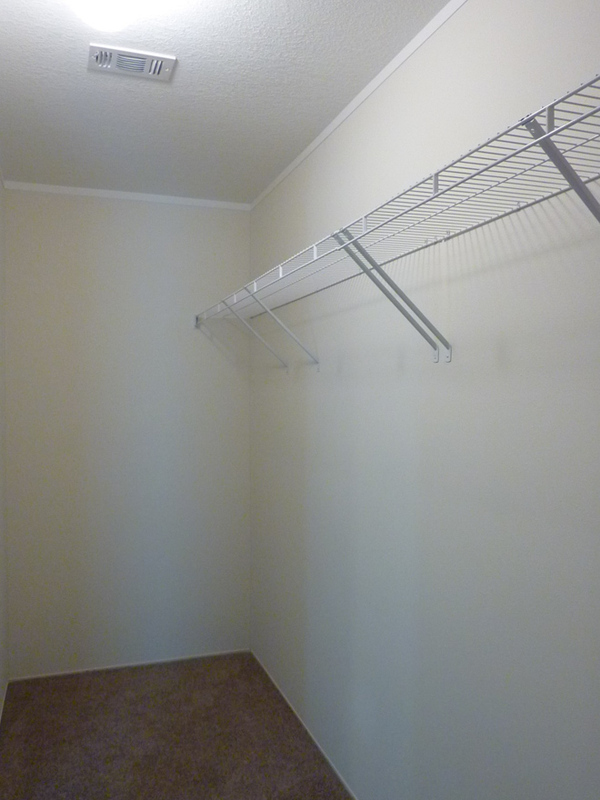 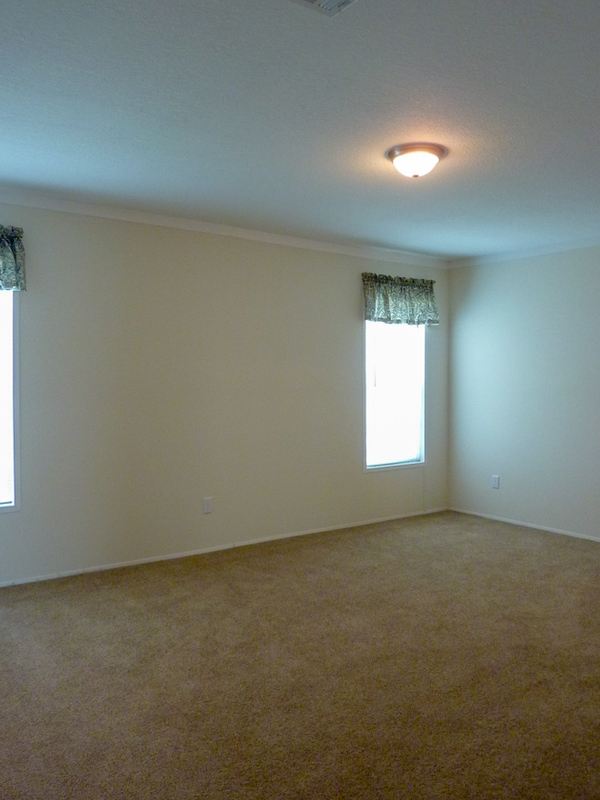 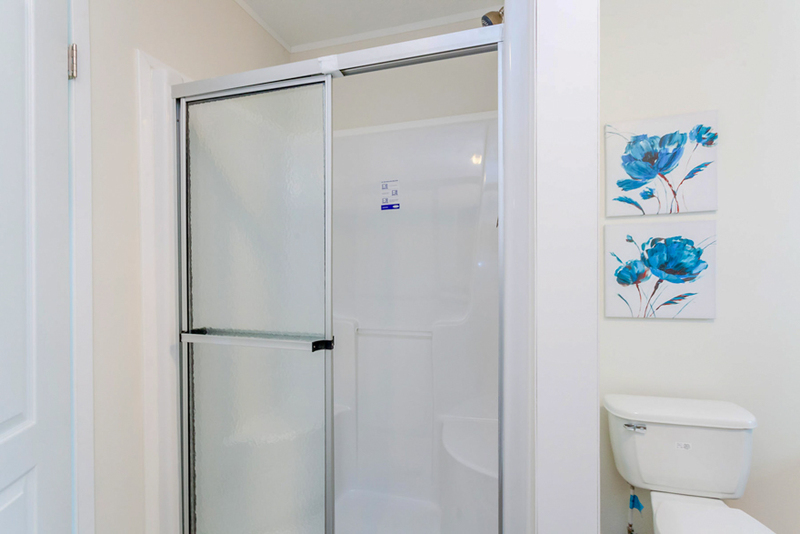 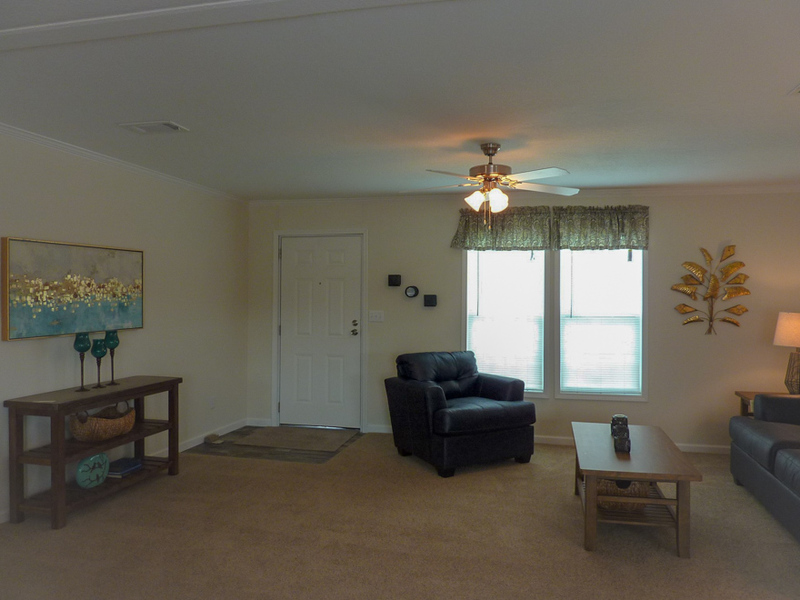 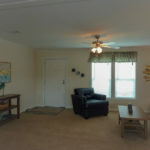 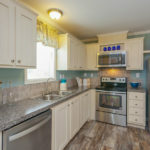 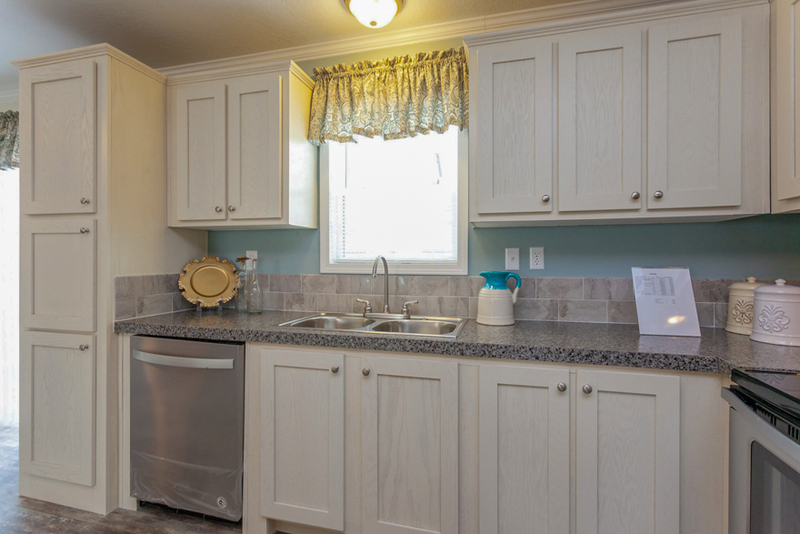 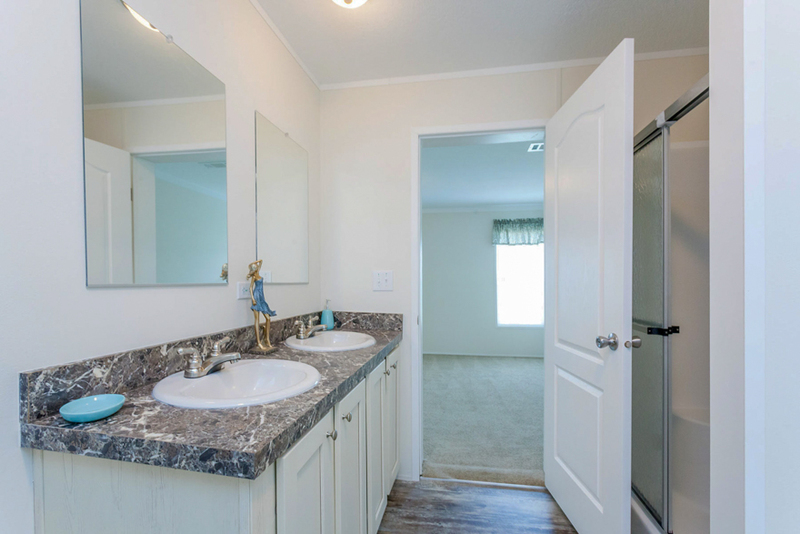 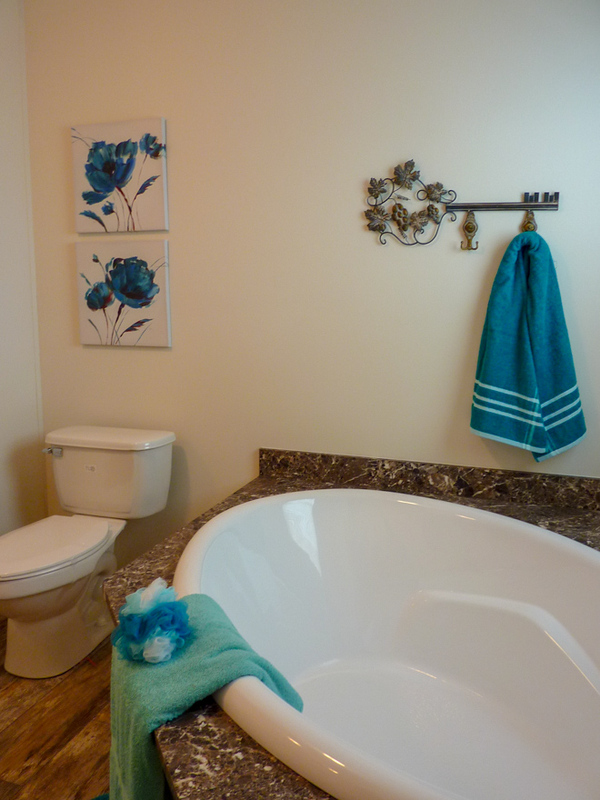 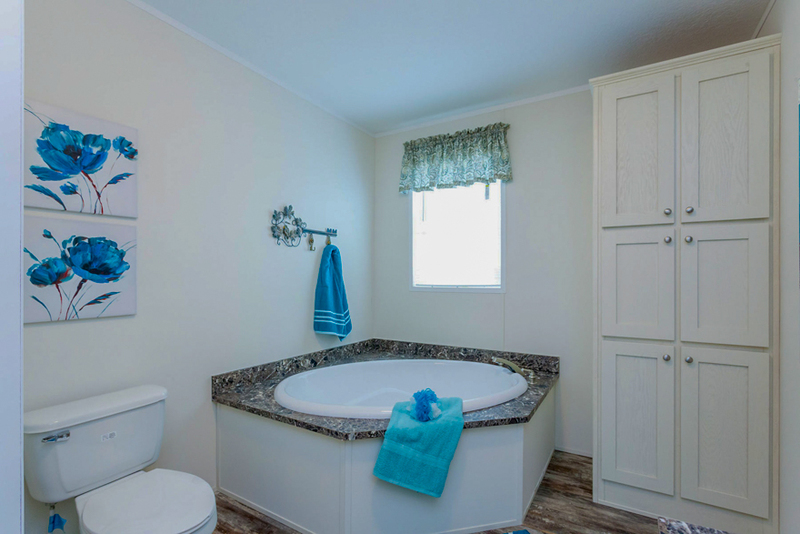 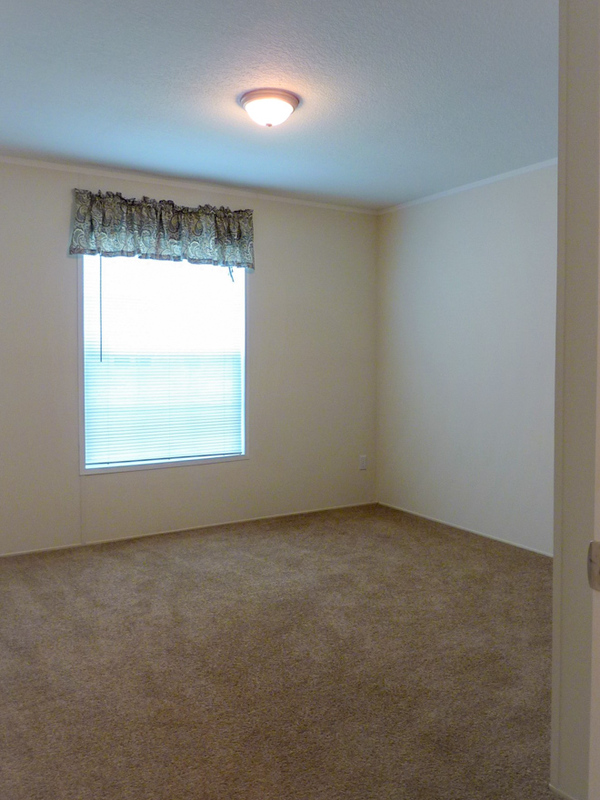 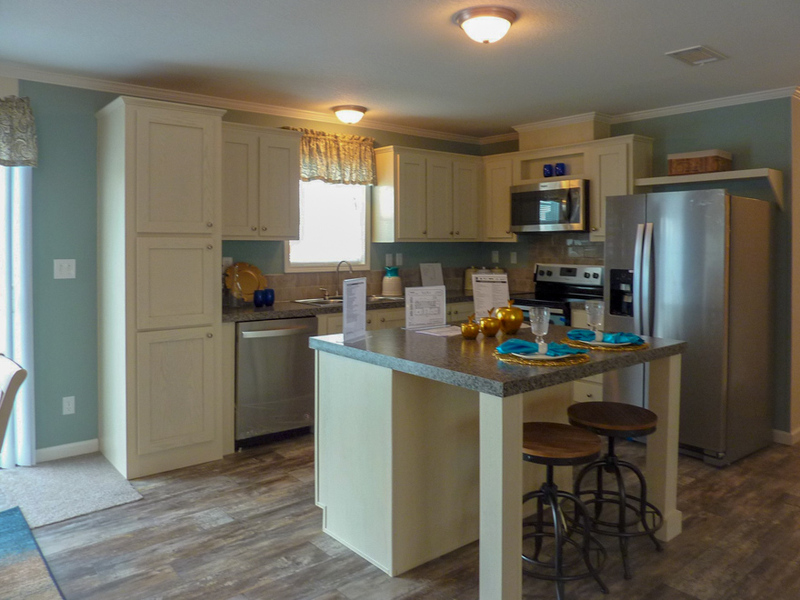 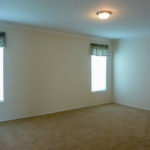 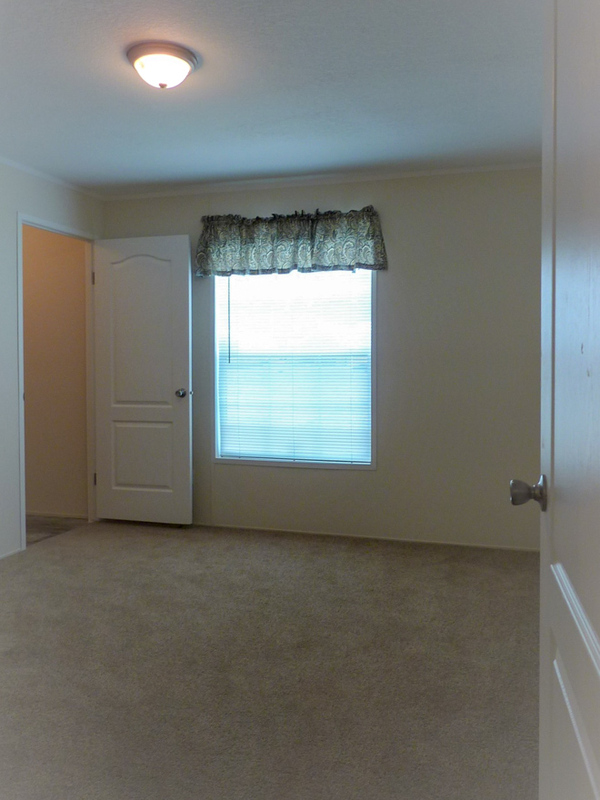 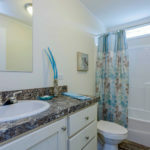 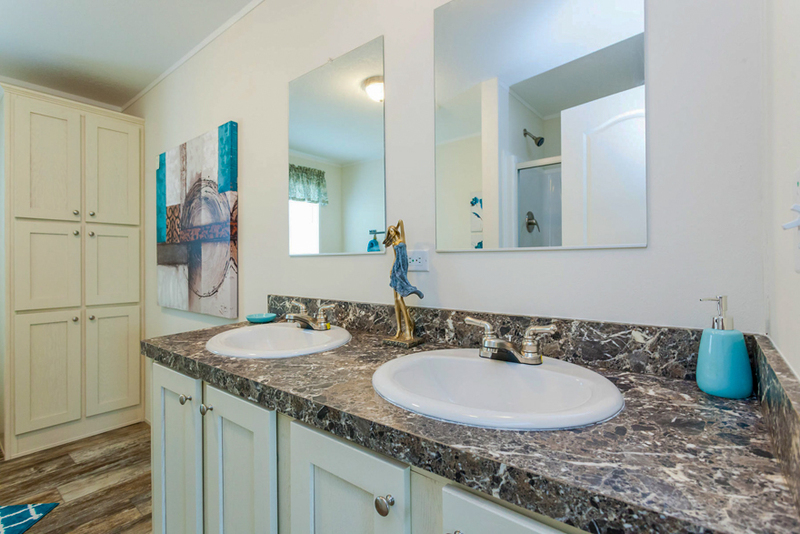 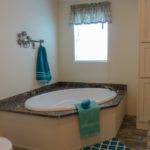 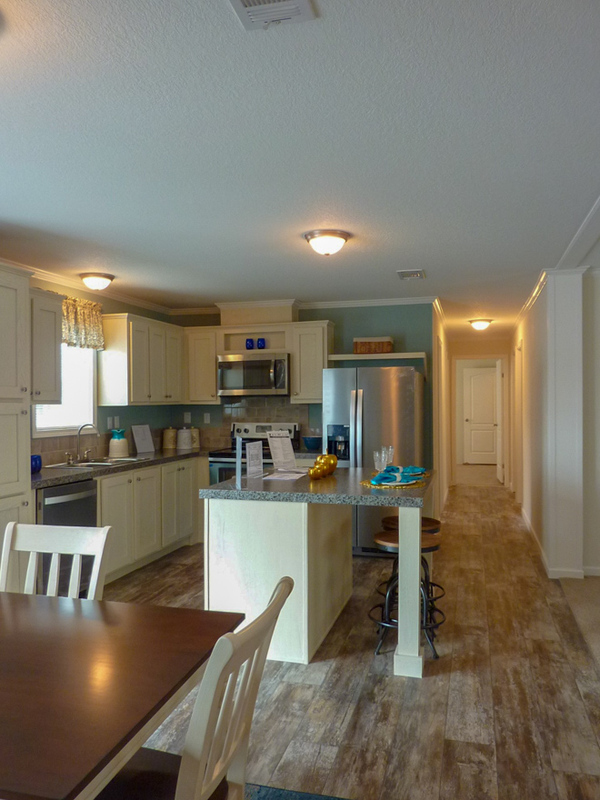 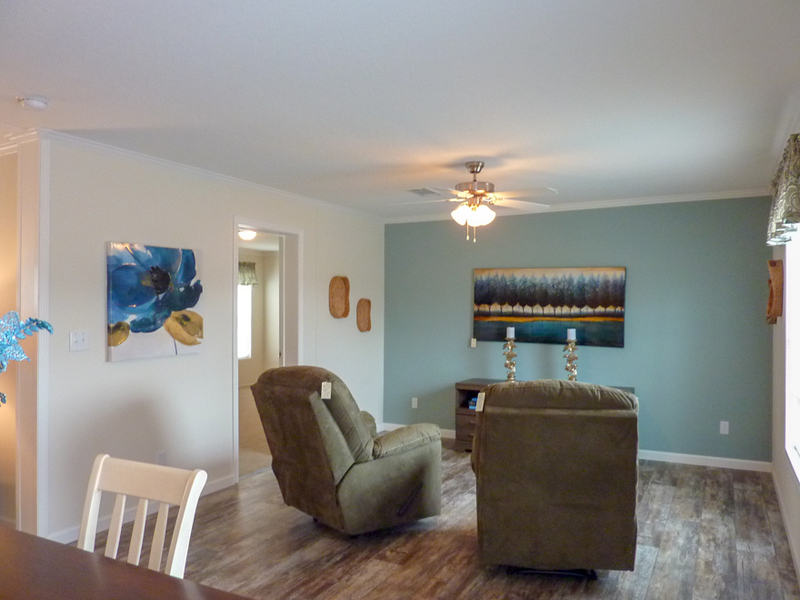 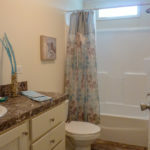 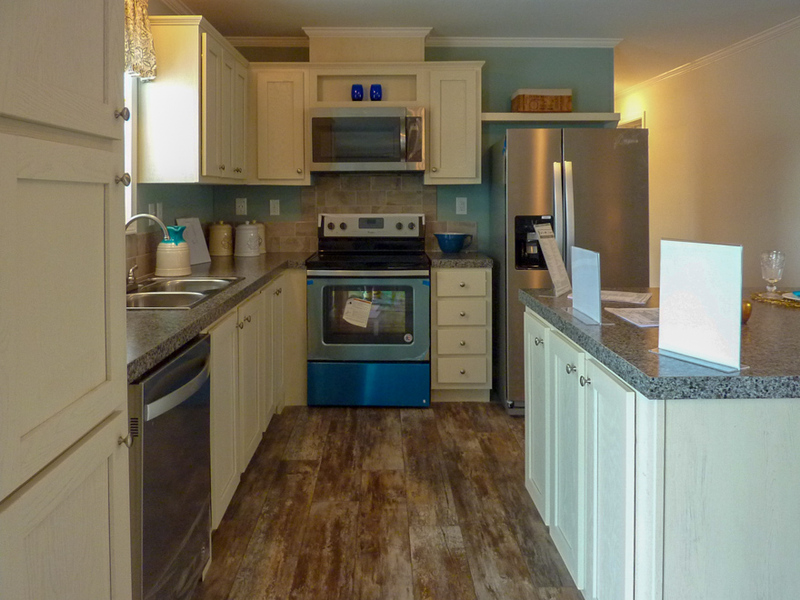 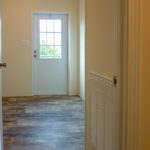 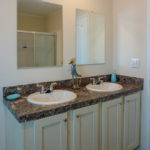 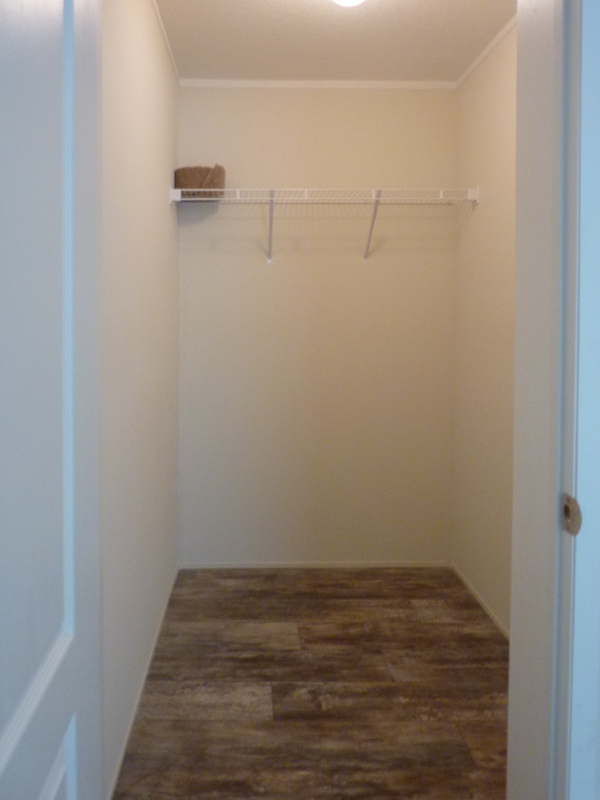 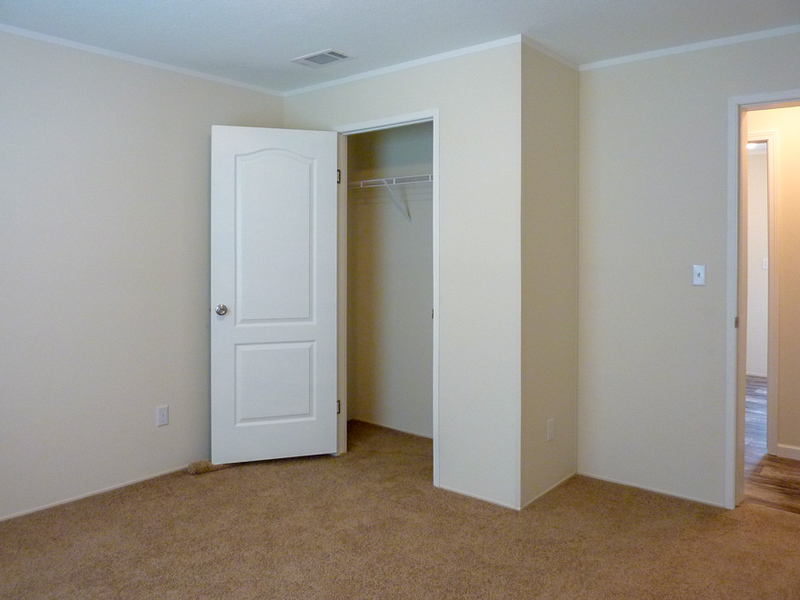 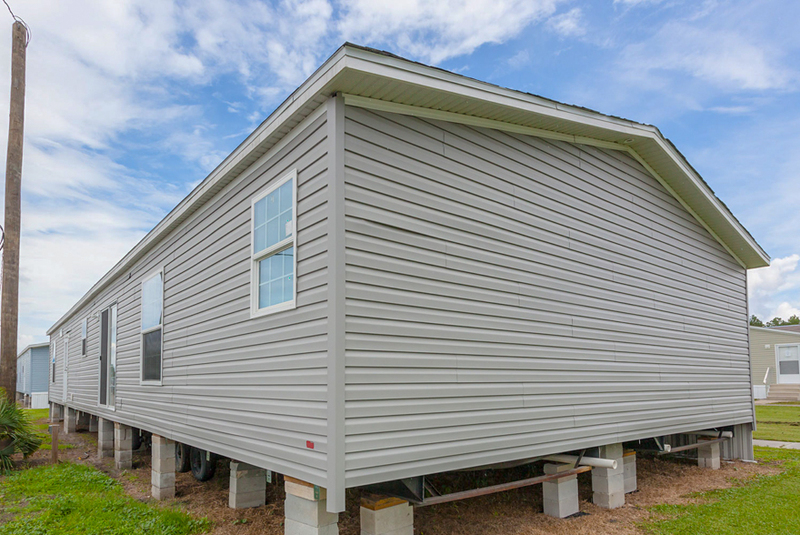 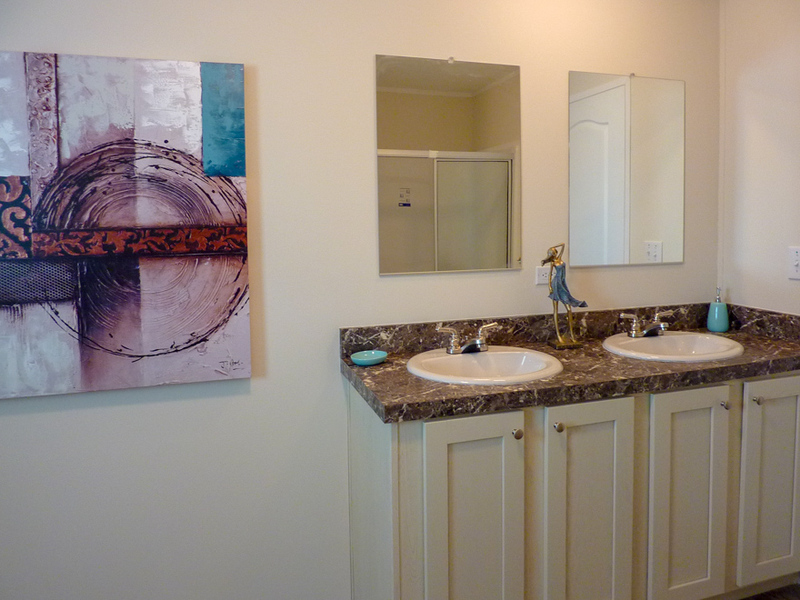 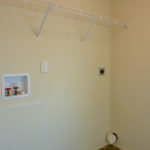 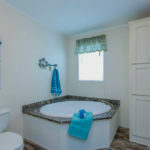 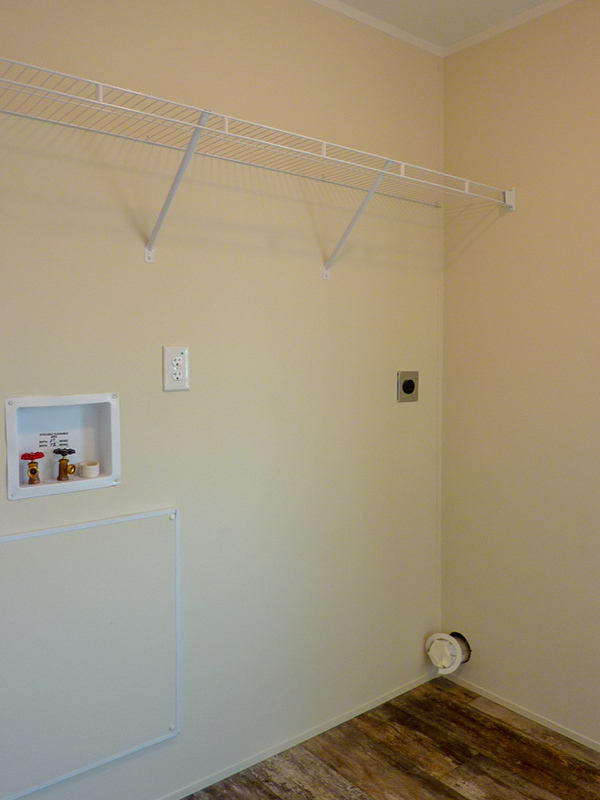 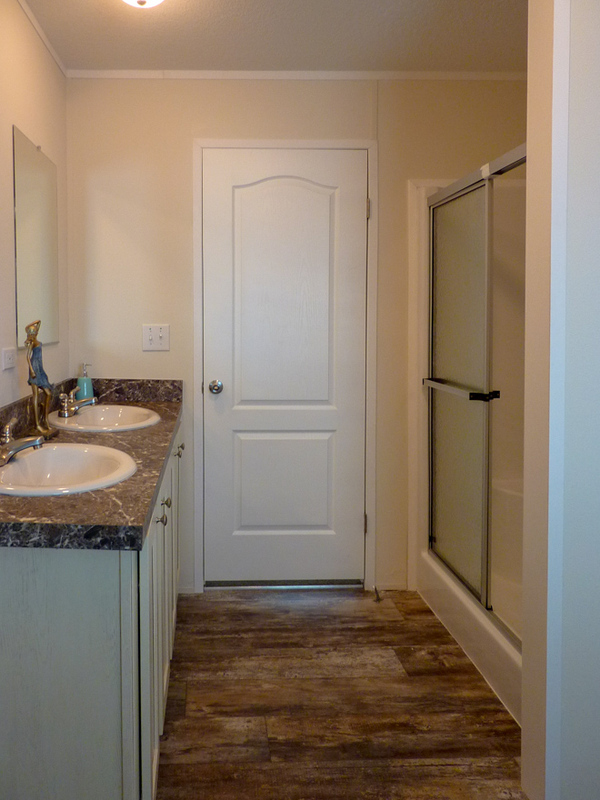 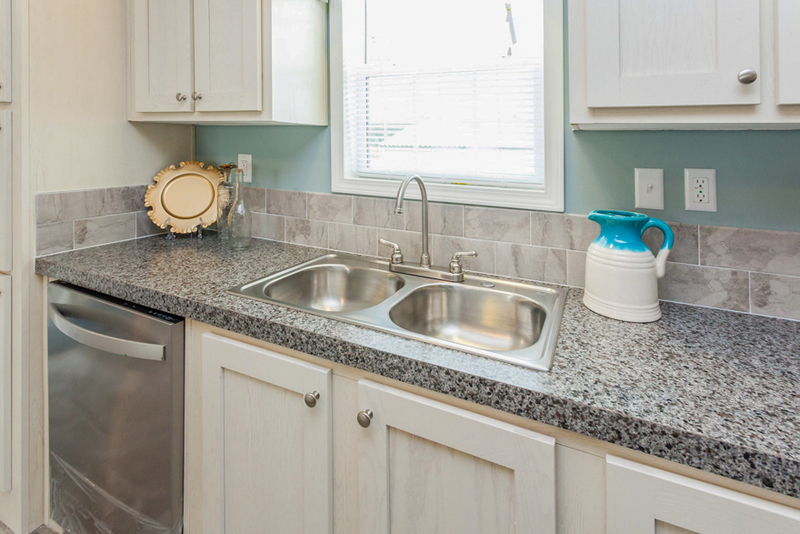 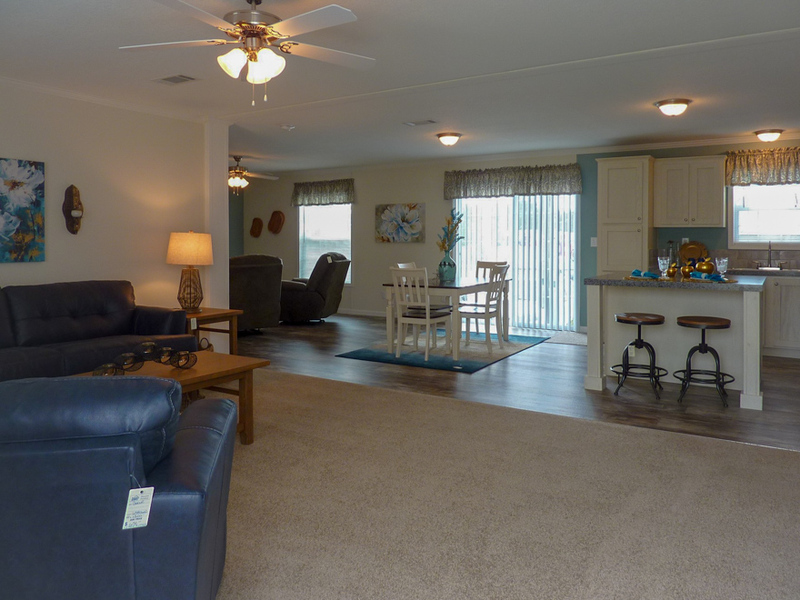 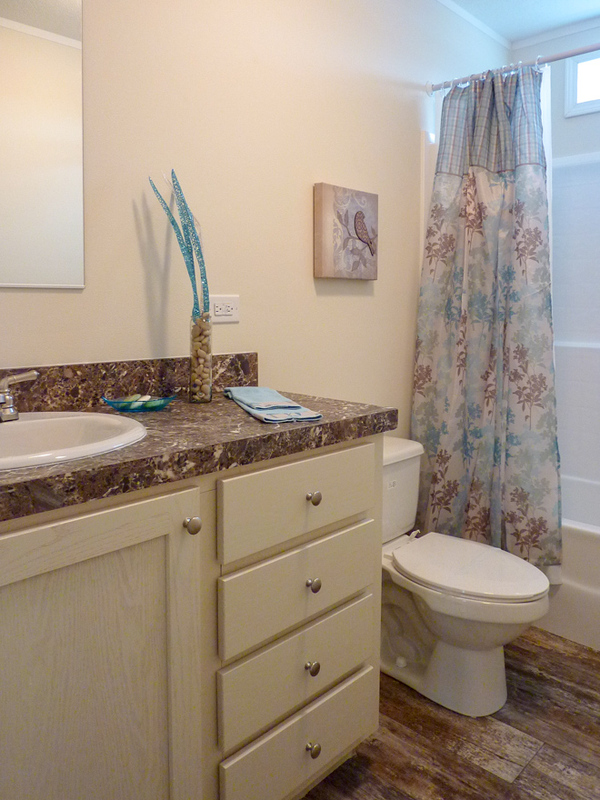 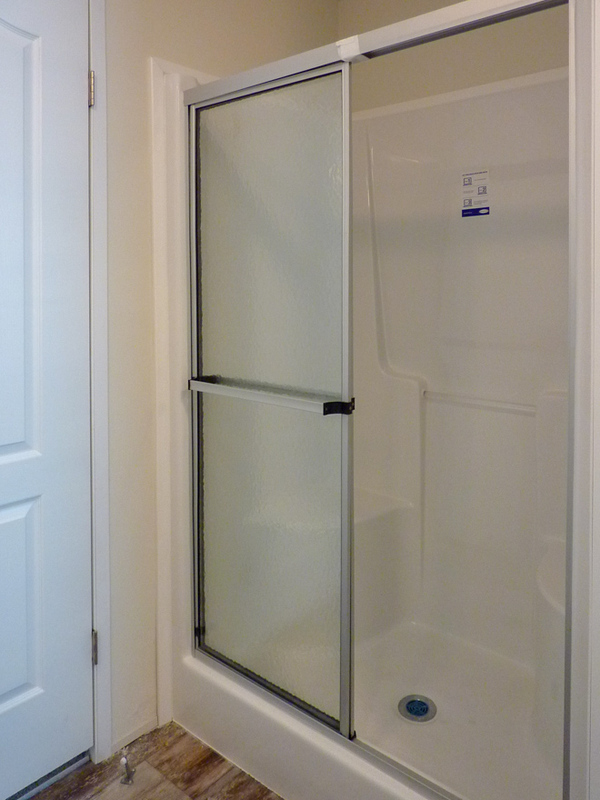 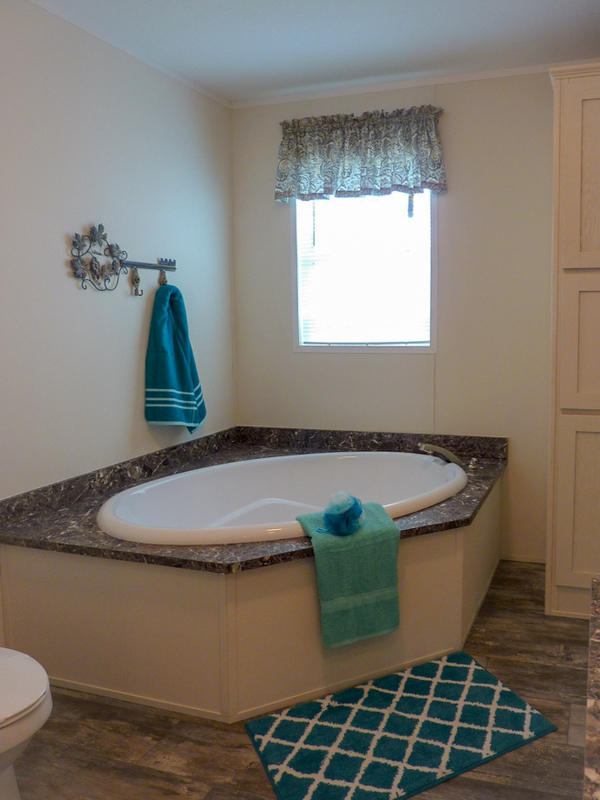 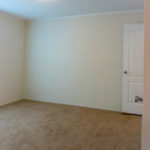 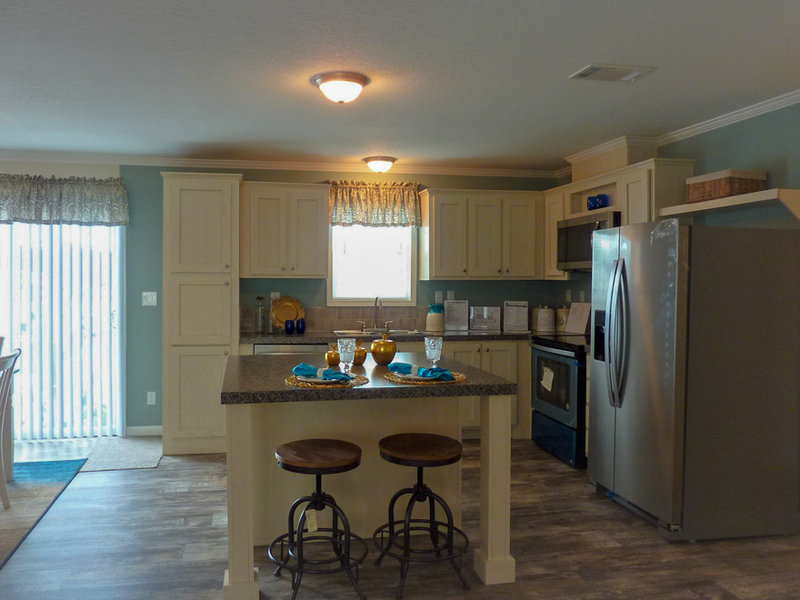 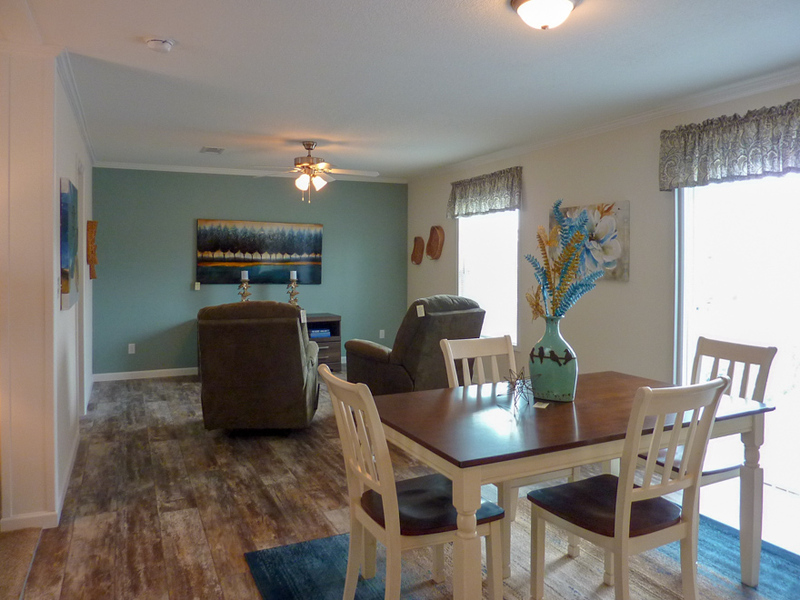 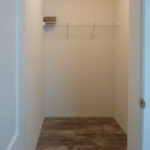 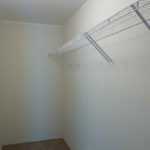 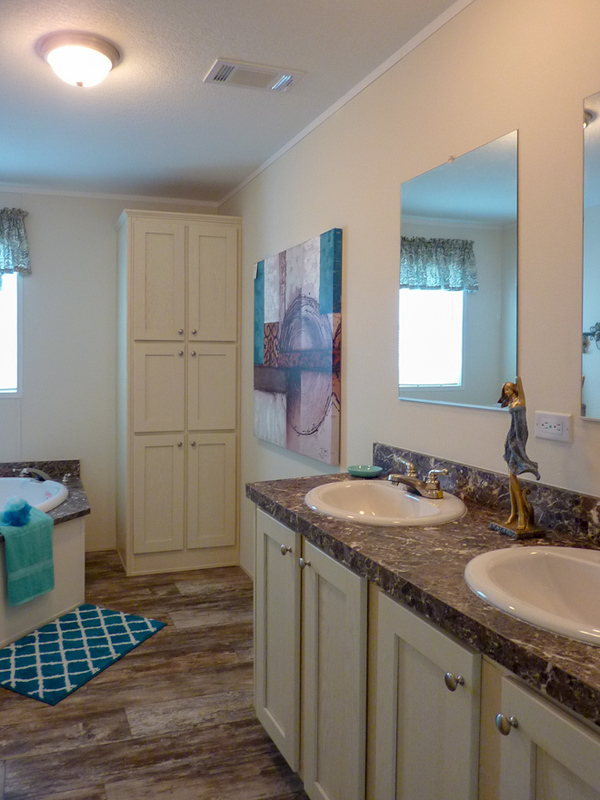 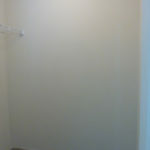 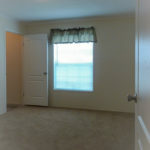 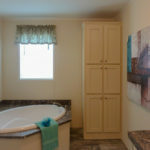 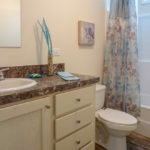 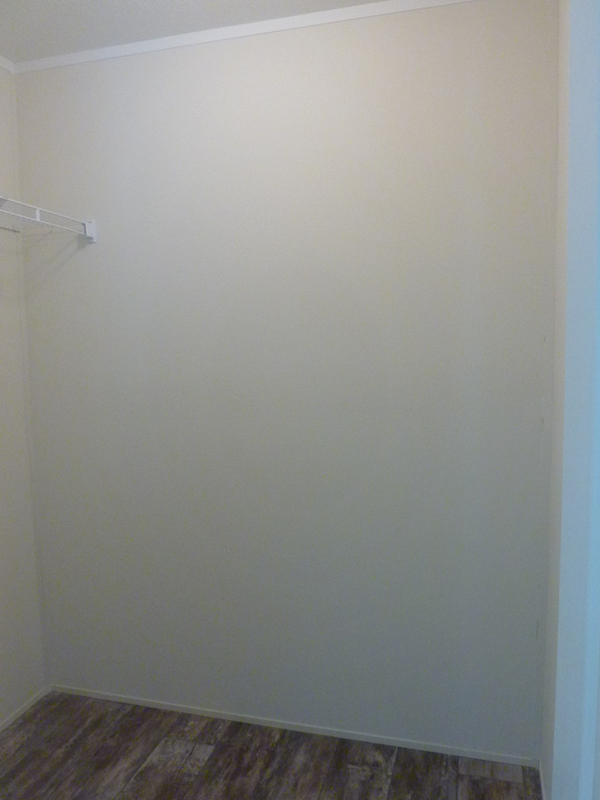 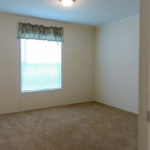 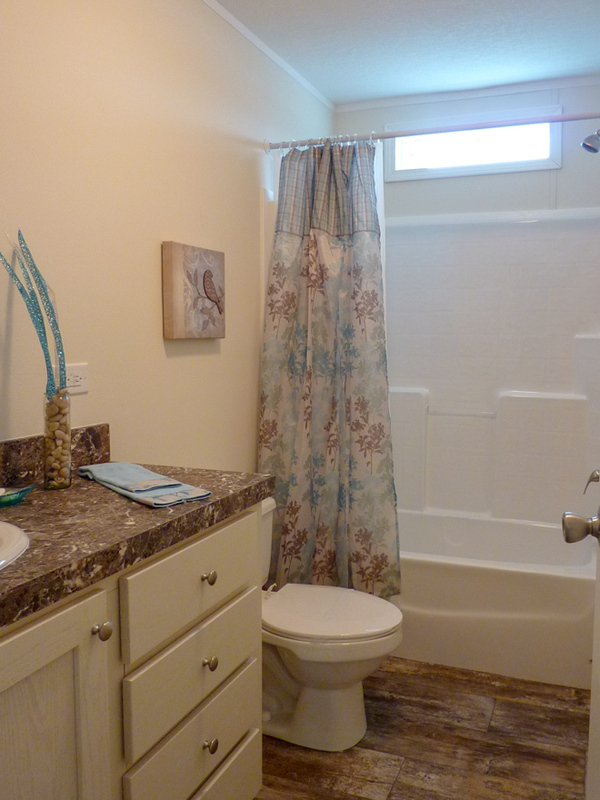 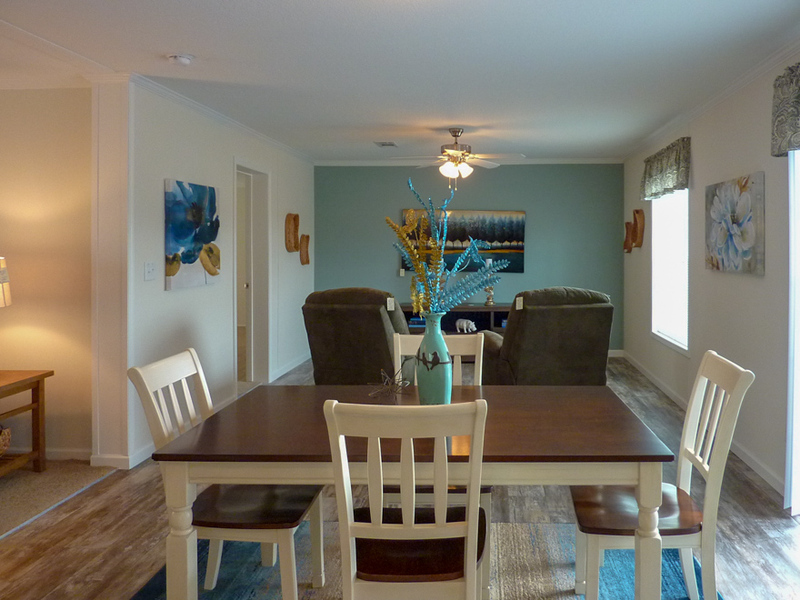 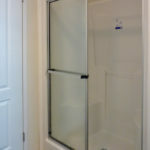 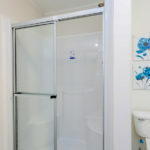 Ask your housing consultant about the other great features that come standard on the Apopka manufactured home.